Polypropylene pipes are used during the installation of water supply, for the installation of irrigation systems and during heating. 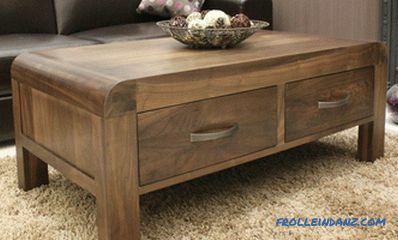 The popularity of the material and the various spheres of use are due to its characteristics: strength, durability, ease of connection. An important argument in favor of polypropylene pipes has become their price, which is significantly lower than that of metal-plastic or metal counterparts. The service life of a plastic pipe with cold water is 50 years; such an impressive figure makes it necessary to replace obsolete lines with just such a kind of highways. The tightness of the joints is the most important factor for any pipeline, so the viability of the system depends on the quality of installation. In the article we will talk about how to connect polypropylene pipes with metal, polyethylene, steel, and also consider the various options for welding. PN 25 is a composite pipe with a metal or nylon layer, which is peeled off during soldering. 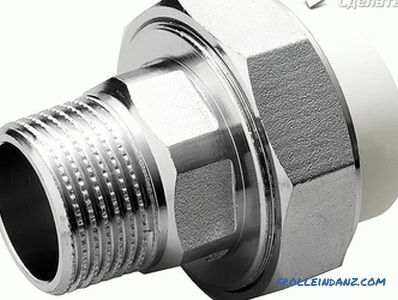 It is used for heating systems, the final heating temperature is 95 ° C.
choke fittings - connect with flexible hoses. Principle Pipeline connections consist in heating the elements and quickly connecting them. Household apparatus for welding pipes have a capacity of up to 1 kW. It is enough to quickly and efficiently heat the material, but for industrial purposes more powerful and expensive devices are used. Complete with a soldering iron, there are nozzles corresponding to the diameter of various pipes. Warming up of a pipe happens outside, and a fitting from within. The operation of the soldering iron begins with the inclusion in the network and setting the required heating temperature, depending on the diameter of the plastic pipes to be welded. The average value is 250-270 ° C. Such a high temperature requires caution, touching the hot parts will cause a burn, for safety reasons, wear gloves. 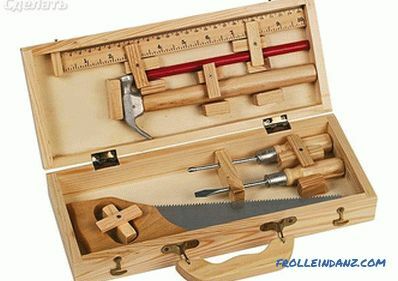 A pipe saw is used for a hacksaw or sharp scissors that do not deform the plastic. The incision is made at right angles. If burrs appear on the end, they are thoroughly cleaned. After cutting, the marking of the depth of soldering is performed. You need to measure the part of the pipe that will go into the tee or the coupling, and put a line on the marker. 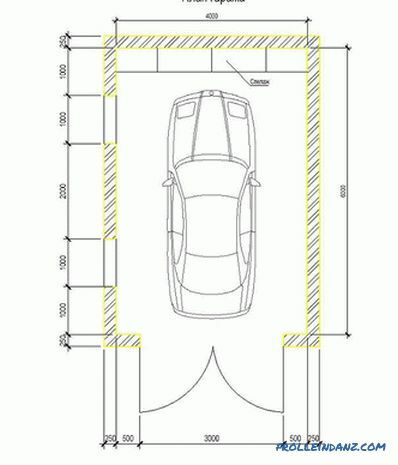 The value of the size of this area depends on the diameter of the pipe, the larger it is, the greater the immersion in the connecting element. If you have to work with reinforced pipes, the algorithm of actions changes. Before soldering, it is necessary to strip the top layer of the pipe consisting of aluminum foil, basalt or nylon fiber. Special tool is designed to remove the desired layer size. The thoroughness of foil removal is very important; a small amount of material on the pipe will ruin the sealing integrity. The soldering iron with nozzles matched to the diameter of the pipes is installed on a flat and durable surface. On both sides, a pipe and a fitting are simultaneously put on the heated nozzle, deepening to the intended line. The heating time of the plastic depends on the size of the pipes: for 20 mm, 6 seconds is enough, and for 32 mm, it takes 8 seconds. Having sustained the established period of time, the elements are removed and firmly fixed into each other, while it is impossible to make turning movements. It takes 4 to 10 seconds to firmly grip the joint, during which time the polypropylene will harden and form a permanent joint. 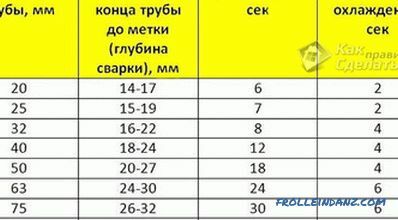 Failure to follow the recommended heating time leads to the formation of leaks — with insufficient heating or sealing of the internal space - with excessive overheating. Appeared after swallowing you should not try to remove it immediately, the molten plastic will deform more strongly. It is necessary to wait until cooling and cut off the excess. Not having Experience, in order to understand how to solder pipes, you can spend a few training connections. It is convenient to work with short joints by placing the welding machine on the table, in this position you can do all the possible work, and joining a partially laid trunk is more difficult. The nozzle of the soldering iron is put on the fixed polypropylene pipe, and the tee is inserted into the second part, while the apparatus is kept on weight. Performing the highway, you need to monitor the order of the performed connections. Try to avoid docking in hard-to-reach places where it will be difficult to use a soldering iron. It is important to keep the material clean and dry, because dirt and moisture reduce the quality of the pipe joints. Even a small amount of moisture when heated deforms the material. The chemical composition of pipes from different manufacturers may not coincide, this will lead to leaking docking. 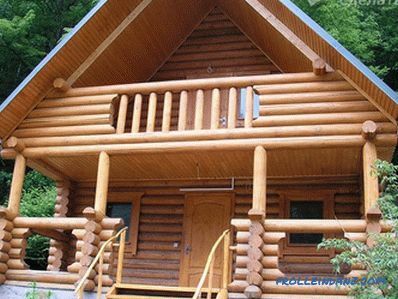 It is necessary to buy all the material - pipes and fittings - from one manufacturer. The temperature in the room where the polypropylene is being installed must not fall below + 5 ° C.
The joining of the pipeline by the soldering method is reliable and durable, it is impossible to disassemble it, and sometimes, this is what is required for repair. In addition, it is not always possible to purchase or borrow a welding machine, in such cases they use the method of connecting polypropylene pipes without soldering. For this, fittings with thread and pressure ring are used. They are called collet or crimp, this connection is able to withstand the pressure of sixteen atmospheres. 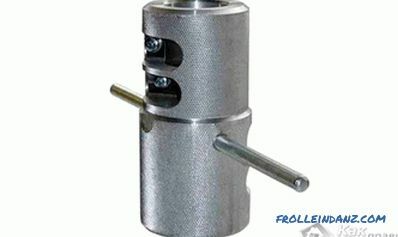 For a mechanical connection, it is necessary to purchase several additional parts: squares for joining different diameters, tee, solder joints and combined, having external and internal threads, plugs, adapters with external thread, squares and tees with a cap nut, ball valves, various factory fittings. To ensure tightness, the joints and seals are richly lubricated with silicone . To work, you need a crimping key, which can be purchased at the same time as the fittings. 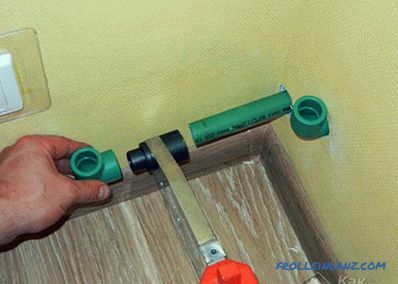 After cutting off the desired part of the pipe, firmly insert it into the fitting, wrap the thread of the element with a thread to seal and tighten the compression ring and nut, the full tightening occurs with a key. This method of connection takes much longer than welding, but it is convenient for them to connect polypropylene pipes to radiators. when installing heating or plumbing there are areas on which the docking of metal and plastic. 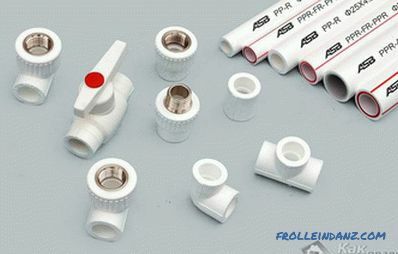 Connection of polypropylene pipe and metal occurs when using special adapters. This fitting has on the one hand a smooth opening for plastic, and on the other - a metal insert with a thread. 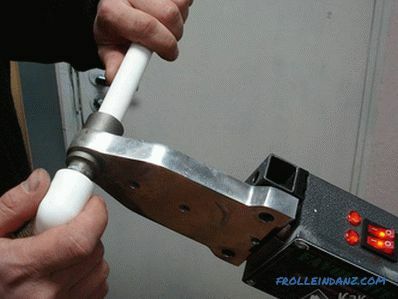 The polypropylene pipe is connected by welding, and the metal is screwed with a key. The resulting joint has no welded strength, but will serve a long time. After the system has been completely installed, test run water for check the tightness of all points of connection of pipes and other elements. If threaded connections are leaking, tighten them. 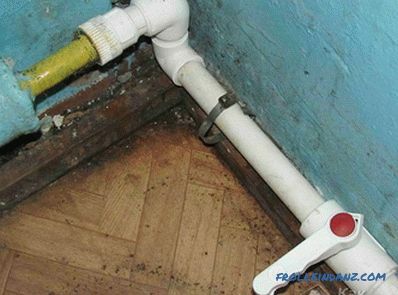 Self-installation of plumbing or heating made of polypropylene pipes is quite an accomplished task. For its implementation, it is necessary to strictly follow the instructions for use of the welding machine for plastic and installation technology. To better understand all the nuances of the process it is worth watching a video in which experienced installers share their experience. 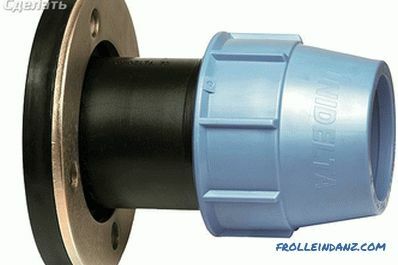 In the first case, you attach a threaded coupling to the HDPE pipe, where there is a clamping connection on one side, and a similar coupling on a polypropylene one.Here is just one side will be soldering the joint, and on the other - threaded. In both cases, a FUM tape or tow is used for threading to seal the joint and to avoid leakage. 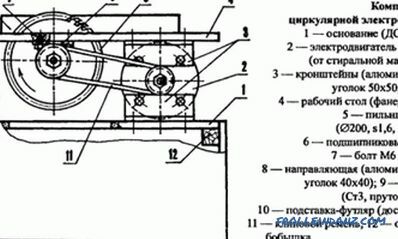 In another case, a flange connection is used. A rubber seal is installed between the flanges. Between themselves, the flanges are bolted together.